'빙의' Jung Hae Na, Impression of the last shot! - '빙의' Jung Hae Na, Ko Jun-hee act as a friend! Jung Hae Na played the role of drama in "빙의" and was exiled. Jung Hae Na played Hong Seo-jung (Ko Jun-hee) friend So Hee in the OCN drama '빙의'. Unlike Seo-jung who has lived a lonely life, he is chatty and makes Seo-jung laugh. Jung Hae Na has played a role in relaxing the tense atmosphere of '빙의'. Seung-jung lied to him, or Bae Do-ryeong (Jo Wan-ki), and SeungKyung (Lee Ji Hae), and nervous characters naturally digest the audience's curiosity. This proved the existence of the portal site, such as searching for 'Bing' in related search terms. And on the 17th broadcasted on the 17th, So Hee was saddened by the death of Seo-jung because he was a friend of Seo-jung. The soul of Hwang Dae-doo (Won Hyun-joon) was killed by the frozen Chun-sup (Park Sang-min). 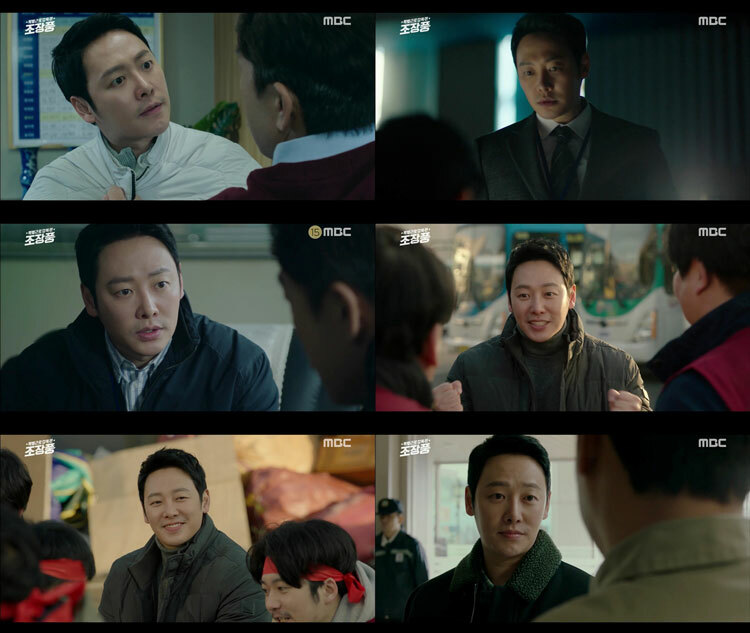 Kang Fil Sung-Hong Seo-jung-Hwang Jung Hae Na, who pulled the Dae-doo confrontation to the peak and left, said, "I felt like I was running too short with good seniors, actors and staff It was a work. I was really happy to be able to play together with a good work. Thank you so much. " Debut in 2015 with KBS2 '발칙하게 고고', tvN '피리부는 사나이', MBC '당신은 너무합니다', Jung Hae Na, a young actor who is constantly making filmography such as MBC ‘사생결단 로맨스’. '빙의' will show stable performance and interest in what will be played in 2019 will increase. On the other hand, the OCN drama '빙의', starring Jung Hae Na, is broadcasted at 11:14 pm on the night of the 18th. MYSTIC STORY's next generation producer and Singer-songwriter PERC％NT will release their debut album. PERC％NT MYSTIC STORY on 18th, "PERC％NT will release its first mini-album 'PVC' on the 30th." The concept image of PERC％NT was also released through the official SNS, raising expectations. Album name 'PVC' means to introduce well-made music with PERC％NT to PVC, which means transparent vinyl material, so you can enjoy a total of 7 tracks featuring PERC％NT's identity. PERC％NT is a remarkable young Singer-songwriter that connects Yoon Jong Shin, Harim, Jo Won Sun, and Jungin with MYSTIC's Singer-songwriter lineup. As a composer, lyricist and producer, The album has become fruitful. 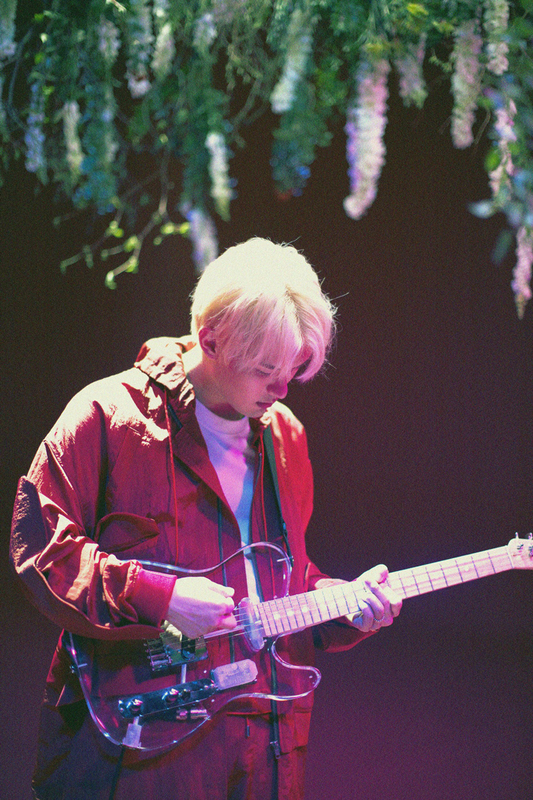 MYSTIC STORY, "PERC％NT only comfortable, sophisticated sound, you can feel the sound flowing smoothly," and "PERC％NT finished with the production of all songs, composing, as well as produced, I hope the first album," he said. PERC％NT will be able to use 'Weekend', 'Snowball', 'Petal Fortune' etc. through MISTTIC music platform 'LISTEN' and Red Velvet's 'Dumb Dumb' was arranged in a different color, and it was a snowboard among music fans. PERC％NT, which is scheduled to debut on the 30th with the announcement of the single 'Superhero' last month, will show PERC％NT music to fill the musical satisfaction of the listeners. April 24 first solo digital single released 'Old Movie'! May 4 ~ 5, '우주대스타 김희철 토크쇼 HEETalk' held! HEECHUL announces first solo digital single. HEECHUL will release a digital single 'Old Movie' on various music sites such as Melon, FLO, Genie, iTunes, Apple Music, Sporty Pie, QQ Music, KUGOU Music and KUWO Music. The hot reaction of them is expected. The new song "Old Movie" is a song of genuine rock ballad genre that HEECHUL wrote and SUPER JUNIOR member DONGHAE participated in composing, and it can feel the vintage feeling that melancholy melody which a splendid orchestration meets with splendid orchestration. 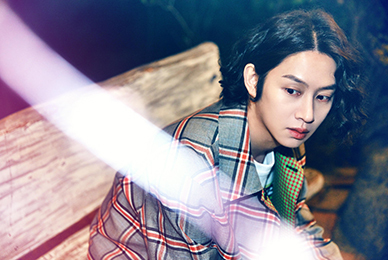 Earlier, HEECHUL was loved by the emotional rock ballads as well as the SUPER JUNIOR group activities, releasing the duet songs "Sweet Dream" and "Falling Blossoms" with the band Buzz vocalist Min Kyung Hoon. In addition, TraxX has formed a project group M & D with JUNGMO member, and has continued to make various musical moves with unique concept mini album such as '家內手工業' and 'Goody Bag', so new digital singles are attracting more attention. In addition, HEECHUL will hold '우주대스타 김희철 토크쇼 HEETalk' on May 4 ~ 5, and plans to release the 'Old Movie' stage, which is a motif of past memories program and new song 'Old Movie' Seems to be. Tickets for the '우주대스타 김희철 토크쇼 HEETalk' will be open at the internet booking site YES 24 on the evening of April 26, at 6 pm on the same day. On the other hand, SUPER JUNIOR official fan club E.L.F. is available through the interest-based community application Lysn. 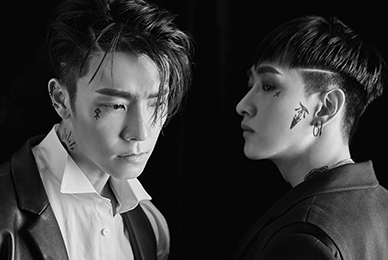 SUPER JUNIOR-D&E, 'Danger'! April 17th New song music broadcasting Strong first stage! Special by DONGHAE! The title song 'Danger', the song 'Gloomy' will be on stage! SUPER JUNIOR-D&E comes back as a manly charisma. 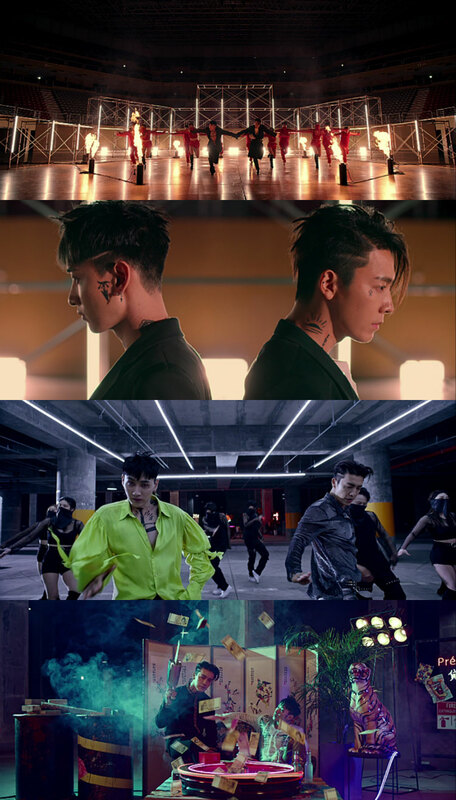 SUPER JUNIOR-D&E has appeared on music programs such as KBS2TV 'Music Bank' on the 19th, MBC 'Show Music Core' on the 20th, and SBS 'Inkigayo' on the 21st, starting with MBC MUSIC 'SHOW CHAMPION' It is expected to be a stage for music fans. Especially, MBC MUSIC 'SHOW CHAMPION' which is broadcasted at 6 pm on April 17, shows SUPER JUNIOR-D&E, which shows the charm of reversal from the title song "Danger", which shows strong choreography and the "Gloomy" stage of emotional R & B / Trap genre. . 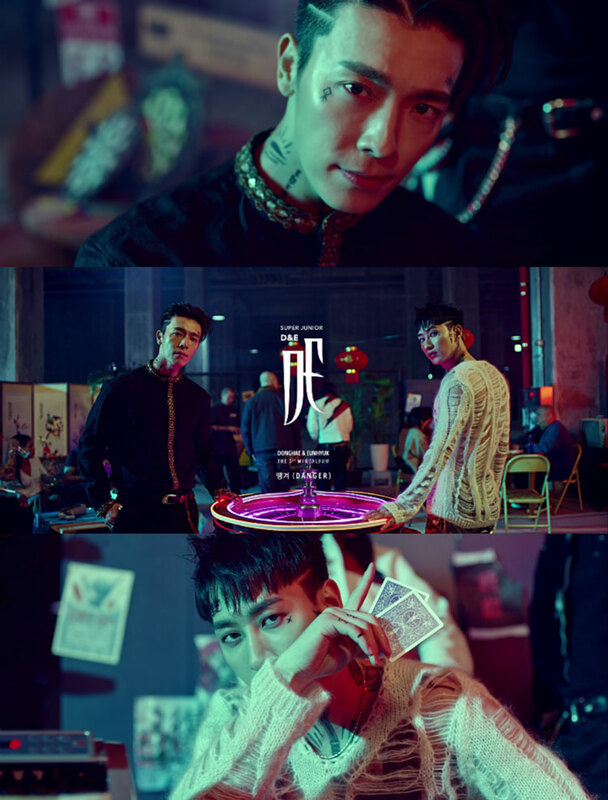 In addition, SUPER JUNIOR-D&E's third mini-album 'DANGER', which was officially released on the 15th, is one of the top eight albums in the world, including El Salvador, Guatemala, Hong Kong, Macao, Malta, Oman, Saudi Arabia and Trinidad and Tobago And proved its global popularity. On the other hand, SUPER JUNIOR-D&E will be active in SBS Power FM 'Cultwo Show' which is broadcasted at 2:00 pm on April 18th. NCT 127, Japan's first full-length album 'Awaken' released! April 17 day 12:00 Domestic sound source release! NCT 127 (SM) Japan's first full-length album 'Awaken' will be released on April 17th. This album features 6 new songs and Korean songs including 'Wakey-Wakey', 'Lips', 'Blow My Mind', 'Long Slow Distance', 'Kitchen Beat', 'End to Start' 'TOUCH' and Japanese version of 'Limitless' are all included, so it is enough to meet sensual music of NCT 127. Especially, the title song 'Wakey-Wakey' is a mix of American style hip-hop sound and EDM elements. The addictive refrain is impressive. The first Japanese tour 'NEO CITY: JAPAN - The Origin' The stage was first publicly released, and the fans got a lot of attention. The album is also open to all music sources on domestic music sites such as Melon, FLO, and Genie at 12 pm on the 17th. Meanwhile, NCT 127 appeared on ABC's representative programs 'Good Morning America' and 'Strahan and Sara' on April 18 (local time), and started the New Jersey PRUDENTIAL CENTER performance on April 24, Will be the first North American tour to be held 12 times, so global fans are expected to focus attention. Who is the main character of the penalty? EXO XIUMIN (SM) will challenge this dynamic sports game this week with 'Heart 4 U'. On the 15th broadcast 'Heart 4 U' 10th, XIUMIN visits the sports theme park with friends and special guests CHEN and KAI to open a story about the sports game confrontation, XIUMIN and friends to avoid penalties I caught sight of it. On the 17th and 19th, 'Heart 4 U' 11, 12th climbing, laser shooting and other members' full-fledged sports game confrontation, followed by XIUMIN, which is the leader in laser shooting, KAI, CHEN and the right match is unfolded, raising the question of who will be the final penalty taker. 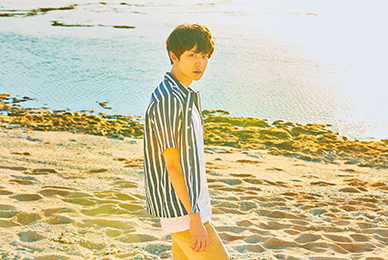 Also, after all the confrontation, KAI's delightful snack time can be seen, and it will be interesting to see exciting penalty scenes from the members who jump into the penalty experience with the main character of the penalty. On the other hand, EXO's personal reality series 'Heart 4 U' XIUMIN is getting hot on every Monday, Wednesday, and Friday 7 pm NAVER TV and V LIVE (VApp) 'Heart 4 U - mySMTelevision' channel. '국민 여러분!' Choi Si Won transformed! Choi Si Won (SUPER JUNIOR SIWON, SM) was transformed. In the 11th and 12th episodes of the drama broadcasted on the 16th, Yang Jung Kook made an official run for the election, and with the help of expert Kim Joo-myung (Kim Eui-sung) . In particular, Yang Jung Kook, who has gained a strong title as a "brave citizen," started his first official election schedule and laughed with a brilliant rhetoric of ex-con artists. In addition, Choi Si Won, who plays the role of Yang Jung Kook, showed 100% Synchro rate candidates' visuals as well as perfecting the characters such as on-the-spot speeches to get votes and focused attention on the audience. On the other hand, '국민 여러분!' Is a story about a story that a con artist married to a police officer gets involved in an unwanted incident and runs for a member of parliament. It will be broadcast on KBS 2TV every Monday and Tuesday at 10 pm. Choi Si Won, Magazine Singles April cover decoration! 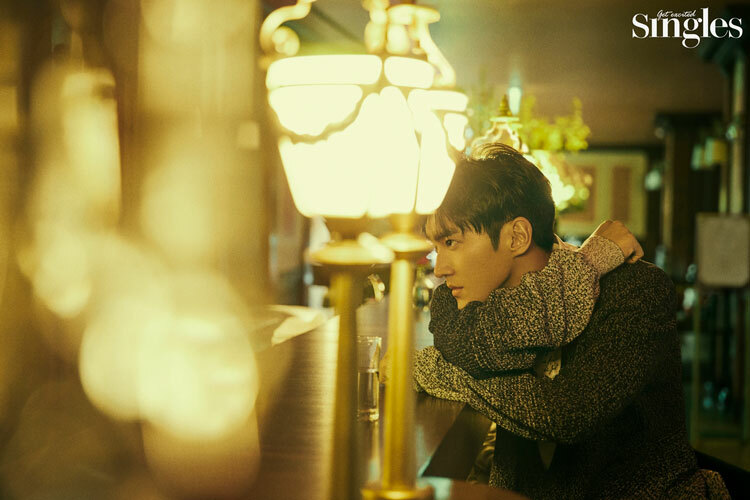 Choi Si Won "‘국민 여러분!’ Is a drama that can feel all emotions"
"It is very fun to go to the scene! 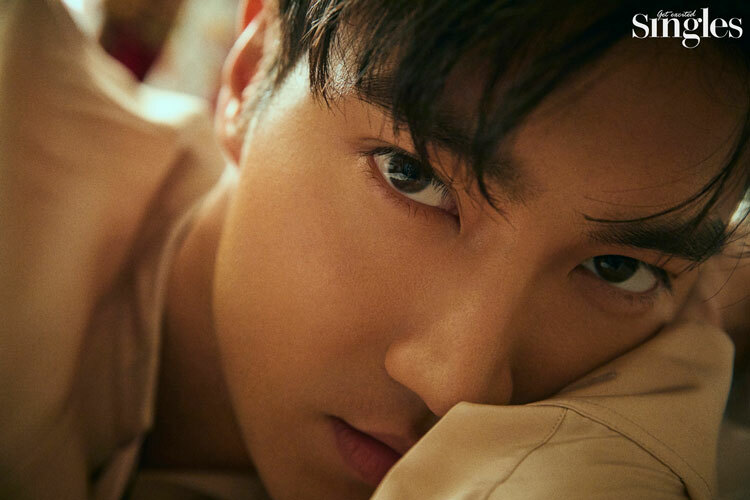 Feel the pleasure of acting character"
Choi Si Won (SUPER JUNIOR SIWON, SM) covers the cover of the April issue of the magazine Singles. 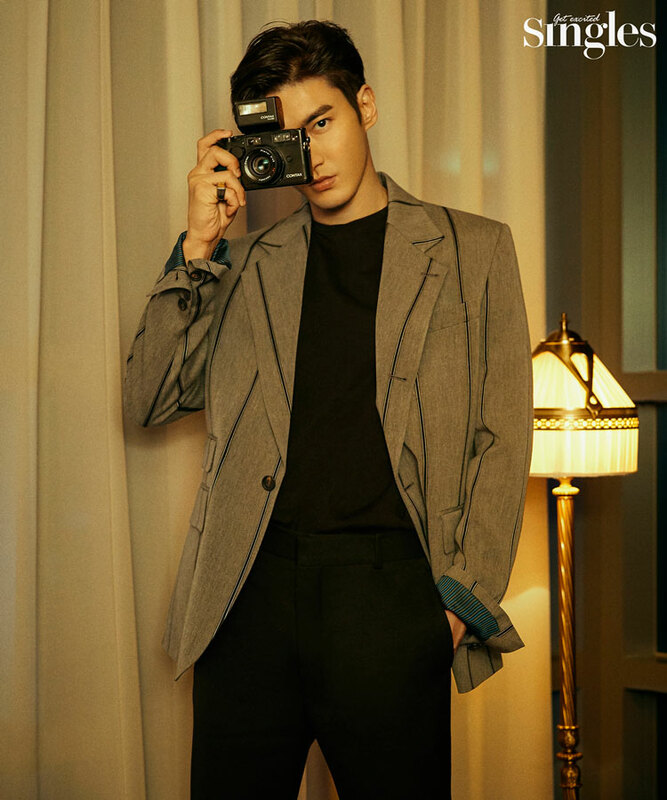 Choi Si Won took photographs using cameras, glasses, curtains, cube, and other small items, and focused his attention on a variety of styles, ranging from suits to casuals. In addition, Choi Si Won interviewed with the drama "The drama ‘국민 여러분!’ Is filmed with affection for characters. I read the script slowly, but this work was quickly read. It seems that all the emotions of human beings are melted into the drama, so that you can see more happily. I would like a lot of interest, "he said. Choi Si Won is a big actor in the role of 'Yang Jung Kook' as a male character. KBS 2TV drama ‘국민 여러분!’ Is a story about a story about a woman who is married to a police officer and is running for a lawmaker. It is receiving great love of viewers by setting. Enemy acting with So Joo Yeon! Where are the two people? Kim Kwan Soo built a unique character and emanated his presence. 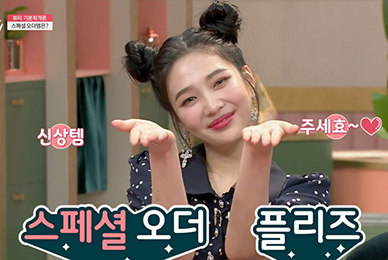 On the 16th KBS 2TV '회사 가기 싫어' 2 times was broadcast. Particularly in that episode, despite the fact that he is a new employee, his life in My Way, No Ji-won (Kim Kwan Soo), which keeps individualism and WAR & LIFE BALANCE thoroughly, was drawn. No Ji-won was so embarrassed by Lee Yu-jin (So Joo Yeon) that he did not participate in gymnastics and was enthusiastic about his work, saying that all employees had to finish work until the appointed time when they were all exercising in the morning. Also, when reporting, the format used by the company was so plain and old that it was arranged in its own way, and Kang Baek-ho (Kim Dong-wan) listened to it. After that, No Ji-won was in charge of printing the introductory brochure for the PB product proposal. In a suggestion by Lee Yu-jin to review his cyanide at work one more time, No Ji-won said, "I have an important appointment today. Can not we check it on Monday morning? " No Ji-won, who came to work on Monday morning, gets the wrong print because he can not check the print shop properly. At that time, Lee Yu-jin pulled out the USB that was set to print properly, helping No Ji-won to make up for the mistake. On this day, Kim Kwan Soo captivated viewers with his ability to write outstanding proposals in a multilingual and fully understandable role as a new employee with an emphasis on WAR & LIFE BALANCE. Especially, from the very individualistic aspect of 'I do my job' to a young person who misses every detail of his work as a social year-old, he realizes the human appearance of a mistake and emits the charm of 'No Ji-won' . On the other hand, KBS 2TV '회사 가기 싫어', which is expected to be active for My Way newcomer Kim Kwan Soo, will be broadcast every Tuesday at 11:10 pm. '특별근로감독관 Cho Jang Pung' Kim Dong Wook, 'Kim Dong Wook is Cho Jin-gap' Custom acting! - Kim Dong Wook, all the charming characters equipped 200% digestion! 'Cho Jang Pung' Kim Dong Wook is supported by viewers. Kim Dong Wook has taken on the role of Cho Jang Pung, labor supervisor with justice in the MBC drama '특별근로감독관 Cho Jang Pung', captivating viewers with a high sync rate. In 'Cho Jang Pung's 7th and 8th episodes broadcast on the 16th, Cho Jin-gap made a persistent pursuit to find the key evidence to capture Koo Dae-gil (Oh Dae-hwan). During this process, Cho Jin-gap almost fell into the trap of Koo Dae-gil, but with the help of Cheon Deok-gu (Kim Kyung-nam), he was shown to succeed in an emergency arrest of Koo Dae-gil. In addition, Cho Jin-gap, who was a disciple of his teacher at the time, met with Wu Do-ha (Ryu Duk Hwan), who became the chairman of the foundation, and TS Tae-soo (Lee Sang Yi) I informed the start of the game and stimulated my curiosity about the next time. Kim Dong Wook fascinated viewers by portraying Cho Jin-gap characters with various performances. Ha Ji Man (Lee Won-jong) and led a pleasant fun. Her daughter, Cho Jin-ah (Lee Na Yoon), added a realistic feeling in front of her ex-wife Ju Mi Ran (Park Se-young) by expressing her personality as Cho Jin-gap. Also, in front of his disciple and president, Cheon Deok-gu, he seemed to maintain his authority as a teacher, but he showed his heart and expression with heartbreak and affection toward Cheon Deok-gu. In front of Kim Ji Ran (Cha Jung Won), he remained steadfast in his beliefs, In front of someone who broke the Labor Law, he encouraged Cho Jin-gap characters to fight unabashedly with power and power..
Kim Dong Wook also gave warmth to those who see him as Cho Jang Pung, a labor supervisor who gives warm consolation in front of workers fighting unfair dismissal and wage arrears in the play. Kim Dong Wook is playing a role in the character of Cho Jin-gap as his eyes and ambassadors vary depending on the partner whom he plays with. Viewers "Kim Dong Wook Actually, there seems to be a person named Cho Jin-gap living somewhere", "Kim Dong Wook 'Cho Jang Pung' It seemed to be good! ", "I can not imagine Cho Jin-gap, not Kim Dong Wook" etc Kim Dong Wook's support for the hot reaction.